So, those of you who also like to watch our YouTube Channel, will have noticed a series of (hopefully?!) 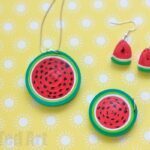 fun rings that I have been wearing recently. I decided that “just” my hands in my videos was a bit boring and that I wanted to snazz them up a little. 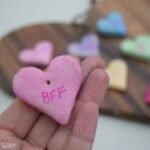 So I come up with a series of Polymer Ring DIYs to wear. 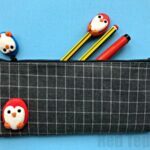 In the polymer DIY world, they are quick and easy and and many ways “nothing special”, but I love them. And so do my viewers. 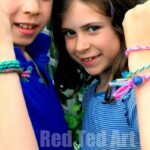 Promoted by my teen viewers in particularly, I decided to share some quick and easy Ring DIY how to videos. 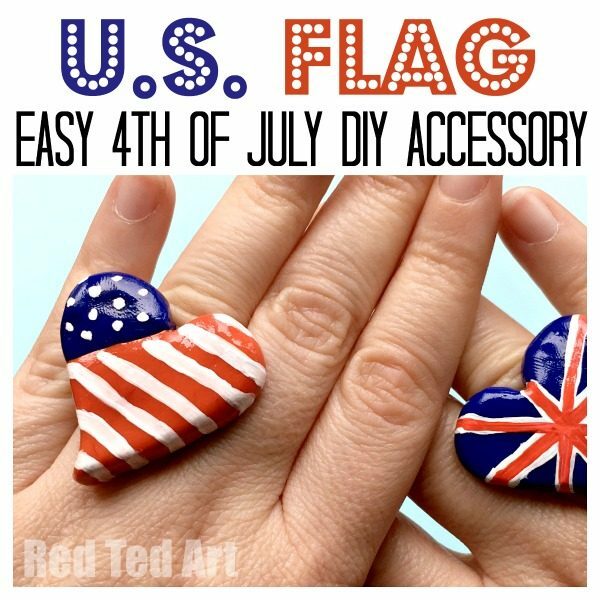 Today’s ring diy for teens is the American Flag Ring DIY. 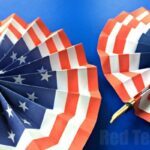 This would make the perfect accessory for 4th of July outfits, though of course this patriotic DIY is fun to wear all year round. 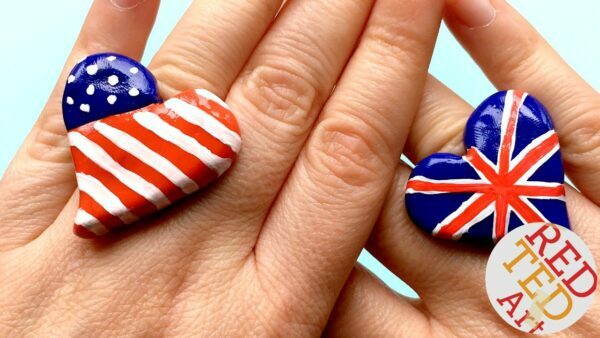 I have a similar Union Jack Flag Ring DIY coming soon (in fact that reminds me, I had better sort out that video!!! Ha!). 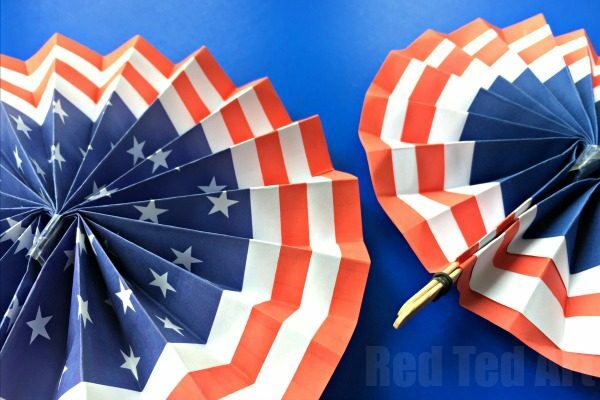 In the meantime, I hope you love this cute and easy Red White and Blue DIY as much as we do. I really love wearing it and get complimented a lot on it! 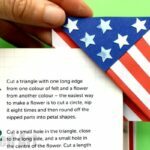 Party of our American Flag Crafts for kids series. I have to say, I simply LOVE it. I wore it to a friends “USA themed party” recently and she loved it so much, that she asked me to make her one for the 4th of July. I was very pleased that the “process” shared above, was so simple, that I managed to make her an exact same copy of it in not time. 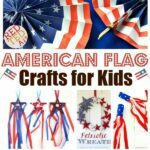 This is a great craft for older kids or grown ups. 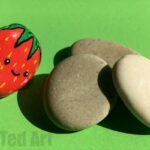 There are simpler DIY Polymer Clay ring ideas for younger kids. 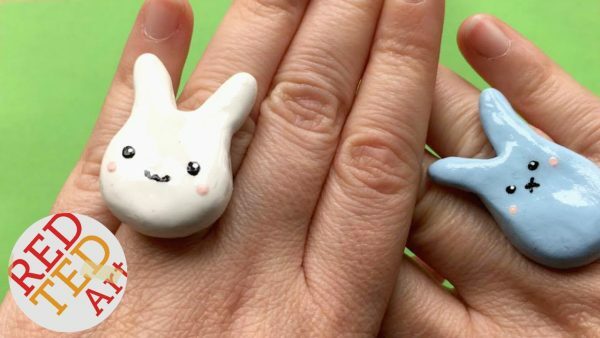 Here is a simple white Bunny RING DIY, which I adore. And it has a little Peeps Bunny Ring friend. The blue Peeps bunny is my daughter’s favourite. I think I love the white one the most. 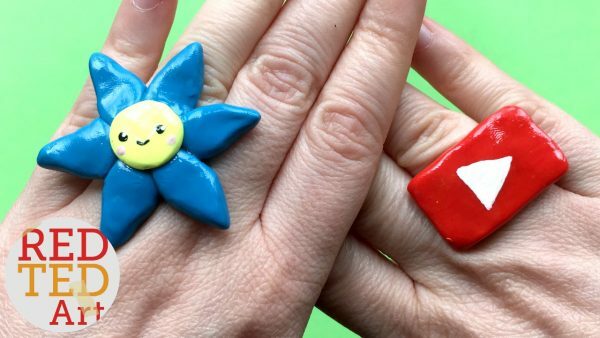 My son on the other hand, likes this Cute Flower Ring the most (I thought he would go for the Flag Rings, but oh no, he loves the faces on this darling little flower) and my YouTube viewers, understandably, simply ADORE this YouTube Ring DIY. The YouTube Play Button Ring is probably the easiest I have made out of all them. If you would like to see more of these DIY Rings, please do let me know, and I will try and pull a set of them together for you.